You are here: Home / Tim Bryce / Grand Lodge vs. Blue Lodge: Who Serves Who? Grand Lodge vs. Blue Lodge: Who Serves Who? Masons have been meeting upon the level and parting on the square well before the formation of the Grand Lodge of England in 1717 (the first “Grand Lodge”). 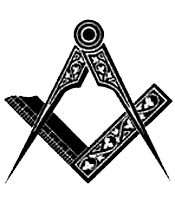 The invention of the Grand Lodge system was inevitable as it afforded Masons a means to administer Freemasonry on a consistent basis to suit local customs and cultural requirements. Establishing Grand jurisdictions to conform with political boundaries makes sense in that it allows Masons to legally operate under the particular laws of the state they are living. This brings up an important point, the Grand Lodge system was originally designed to serve administrative purposes only. In other words, it is a servant of the Craft, not the other way around. It has long been understood that the authority over the activities of a local particular Lodge (aka Blue or Craft Lodge) primarily resides in the officers and members of the particular Lodge itself, not the Grand Lodge. However, over the years, we have seen a transition whereby the authority of the Grand Lodge supersedes the particular Lodge, thereby they serve the Grand Lodge and not the reverse. Let me give you an example, I recently returned from our Grand Communications which, as most of you know, is intended to elect new Grand Lodge officers and vote on legislation. This particular Grand Communications annoyed the Craft greatly. I heard it described by delegates as the worst communications in recent memory, a model of inefficiency, a farce, the “Grand Master’s Coronation” and the “Grand Waste of Time” (and these are the kinder adjectives without the expletives). Why the disgruntlement? Because delegates felt their time and expense were taken for granted by the Grand Lodge. Had the Grand Master wanted to conduct the true business of the Grand Lodge in one day, he could have easily done so if he wanted. He didn’t. Instead, the Craft suffered through endless introductions, was bored to death by committee reports as pre-printed and included in the delegate’s packet of materials, and put to sleep by several unrelated speeches intended to pad time. To add insult to injury, little was accomplished in terms of legislation and the status quo was safely guarded again for another year. In other words, no progress was made. The Craft was so incensed by the Communications, I wouldn’t be surprised if we saw a sharp decline in attendance next year. Regardless of the outcome, what disturbed me the most was the total lack of consideration for the Craft, only for the Grand Lodge officers. Brothers sacrificed a national holiday and a work day to attend a meeting that squandered their time. It wasn’t the Craft that was glorified, it was the Grand Line. My response to this was, “Haven’t we got this backwards?” It seems to me that instead of having humble servants of the Craft, we have created a Royal Family that answers to nobody. The true power of Freemasonry belongs to the particular Lodge, not the Grand Lodge which should be nothing more than an administrative function. When it oversteps its authority and usurps the authority of the particular Lodge unnecessarily, than we have an unsavory situation emerging. For those who believe in the tyrannical power of the Grand Lodge, I have two words of advice: Remember Runnymede. Hopefully the brethren will do what you mentioned; just not show up. When the Grand Lodge leaders find that no one is following them, maybe, just maybe, one of them will realize something is wrong and do something about it. Until then all a brother can do is concentrate on making his own lodge the very best it can be and hope that the Grand Lodge doesn’t get in the way. There has to be give and take on both sides, but I am really tired of this “The Grand Lodge is the Great Satan” mentality. Freemasonry, in my opinion, has suffered greatly for lack of a centralized body which could have served well to protect our ownership of the name “Freemason” and help to provide a common front against anti-masonry. There are many other such things a Grand Lodge can do that an individual Lodge can’t. Besides, we, the Brothers of the Craft, ARE the Grand Lodge. It’s easy to gripe and tough to act. I am, by the way, not a Grand Lodge officer, but I prefer to see the good in the body and work with it instead of whining. Agreed. The Grand Lodge is “suppose” to serve the lodges and not the other way around. it seems like the GL’s control over the lodges has become more and more stronger. If you look at the Halcyon situation in Ohio, one can see where a whole Lodge got fed up with the Grand Lodge experience, and left to practice a non title bearing style of Freemasonry. The Grand Officers only hold their positions for the Grand Communication meeting, and then go back to their Lodges as Master Masons. The Idea that men are making careers and Ego’s out of Masonry is startling. Good Luck at next years communication. Dear Brother Tim: Hope this finds you well.I am a mason 25 years past master of my lodge and now current secretary.My experience with our Grand Lodge has been nothing but pleasurable. I can address almost any issue and get it resolved with one phone call e-mail or letter.My choice. I have nothing but praise. Most of the offices are filled with competent caring personel or brothers. There is a open door policy and and this quote by Brother Voltaire “May all Men remember that they are Brothers!” is the policy. Your article is most interesting. I especially loved the line that included, “…. Royal Family that answers to nobody.” That sounds a lot like what we have now in Pennsylvania. But it is really worse, its more like a dictatorship. They are only concerned about the numbers, or should I say dollars. Quantity not quality is what supports their lavish lifestyle.